Some things are hard to comprehend. Like why some of us wear socks with floaters, or why we insist on chatting on the phone while driving when all we are having is inane conversation that isn't worth having an accident over. Then then is our bizarre love for 80kmpl when your actually daily mileage is a freaking joke. What surprises us even more are the bikes we choose not to buy. Bikes that are either inherently good or inherently flawed. The inherently good ones typically are great  practical, reliable and well worth the price. The flawed ones usually do one or two things so amazingly well that it makes the flaws worth living with. Or it could be that you simply didn't consider them. Whatever the reason, here are the bikes that we think you should take a second look at. 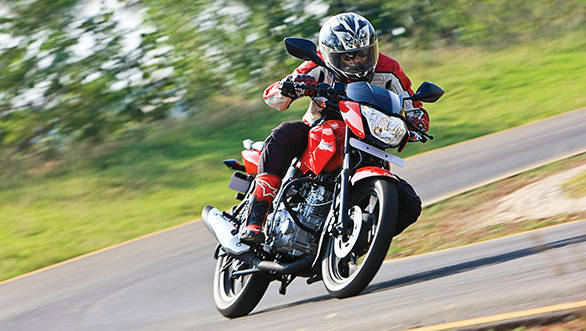 Here is our list of the top 15 underrated two-wheelers you'd do well to own. Great handling, nice ride quality, extremely reliable. The LML Freedom was one of the most cheerful entry-level motorcycles I have ever ridden. I gave it its first service at 5,000km and second was at 21,000km. Far, far from ideal but it didn't affect it one little teensy-weensy bit! There isn't any escaping the fact that it looked odd. And in the relaunch version, it still does. The tank is weird and flat and the tailpiece is thick. Plus, it was LML's first motorcycle in a while and launched when the Splendor was it its peak. It was great but it never had a chance to make it really big. The engine was so immensely thrashable and the chassis was capable. And they'll likely be dirt cheap on the used market if you can find them. Which means they are perfect for a low-budget custom. 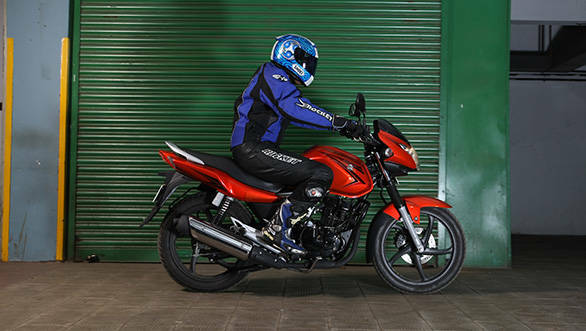 The GS150 was the bike you took home to the parents knowing fully that it would be accepted into the family automatically. It was smooth, comfortable, spacious and extremely adept at doing the daily grind. One of the absolute best 150cc commuters we have ever seen, to be honest. Suzuki didn't have too many dealers, it was likened to the Unicorn in nature and that meant the potential sale went to the more popular Honda and ultimately for all its amazing sweetness, if you wanted the bike to thrill you, ultimately, it was too sober to do that. With the new engine tune, the Rodeo has turned out to be quite the surprise. It is on long term test with us and the more scooters we ride, the better the Rodeo looks. It's powerful, handles well and it can feel skinny but it also feels great to ride enthusiastically. The Rodeo isn't really on the radar for buyers it seems and those that do go and buy Mahindra scooters seem to prefer the more sober and comparatively safe and boring Duro to the Rodeo. It's fast! The Rodeo can be punted through traffic at such a great pace with such little effort that it makes one worth buying. The Impulse looks like a real off-roader down to its semi-knobbly wheels. It can be turned into a really effective learner dirt bike too. But the amazing thing is that the Impulse makes an absolutely smashing daily user motorcycle. It's ride quality is unmatched among the Indian bikes and that tall riding position makes navigating traffic extremely easy. In perception terms, Indian commuters and 150cc buyers didn't really take to the off-roader look and when you do ride it, the engine is smooth but the bike feels like it could do with more power. Because the Impulse is a lovely motorcycle to ride. We would have a set of road wheels (18-inch front and sticky tyres) and an alternate set with full-on off-road tyres. It would, literally, be the best of both worlds. The Stunner is based on the Shine, only the biggest selling 125 in India and that means it has a reasonably powerful and extremely frugal engine. 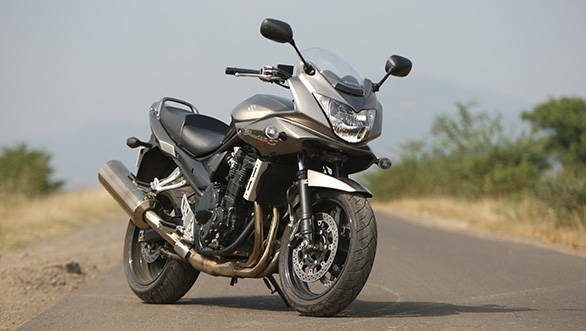 It looks great and is the sportiest looking motorcycle in the segment at the moment. 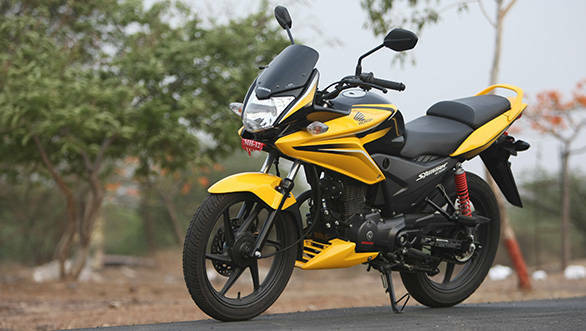 The Hero Ignitor uses the same powertrain and similar styling but doesn't look as great overall. The Stunner looks smashing and expensive from a distance but up close there are mismatched quirks like the choke that sits oddly next to the meters. Plus it is expensive compared to the Shine. The Stunner is a good motorcycle to ride through traffic, feels quite good in corners and for relatively little money the closest thing to a fully faired bike you buy. All that and economy too! With its telescopic forks, big 12-inch wheels and the front disc, the Aviator is the best-equipped Honda scooter on the market. The suspension means it rides well, the brake means it stops amazingly well and it has always looked mature and stately. All the goodies came at a price. 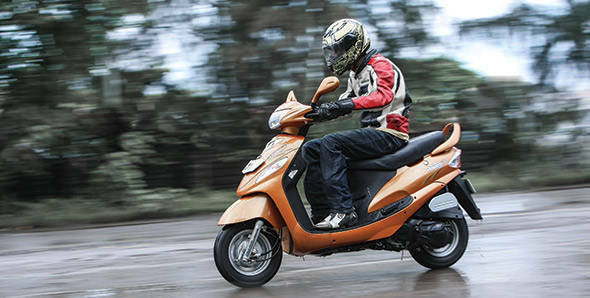 Today the all-singing all-dancing Aviator costs a whopping Rs 10,000-odd more than the Activa. We are a price sensitive market so the outcome is natural. 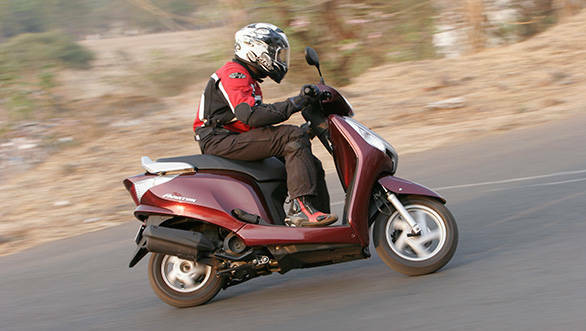 Plus there is the momentum of the Activa, which is so far, proving impossible to beat. It's Honda's top scooter, uses an excellent, proven powertrain, looks great, stops great, handles well and when you're on the Aviator, people know you're riding an expensive machine. An odd looking motorcycle with lurid graphics to be sure, but also equipped with an excellent, fuel efficient little motor made superbly crisp by Honda's PGM-FI fuel injection goodness. Current models are more restrained on the graphics front, which make the motorcycle far easier on the eye. The Glamour FI was almost a halo bike. When it came out, fuel injection was a novelty overall and unprecedented in the segment. The early adopters paid the massive difference in price but the mass of economy and value oriented buyers stayed away. 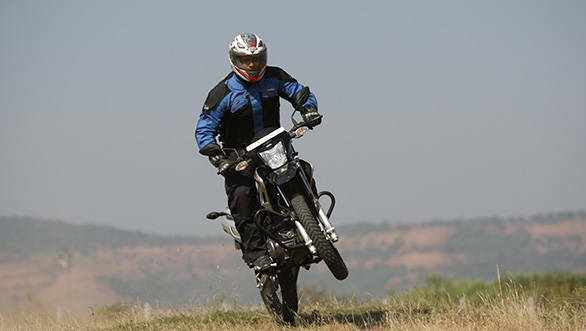 With fuel injection, the Hero 125cc engine feels about as good as it gets to ride. Economy is great and performance is roughly the same but delivered with a level of crispness that almost makes the price difference to the carburetted Glamour worth the investment. The motorcycle came out right at the fag end when LML was fading away but it turned out to be a cracker. Never has a tiny little bike wheelied so high or ran as hard as the little CRD100. It was the right bike at the wrong time, unfortunately. By the time it came out, LML was in all sorts of trouble. Dealers were hard to find and customer confidence in buying a new CRD100 had little to do with the product and everything to do with the company's state at the time. Well if we could find out, it would be the perfect tool to work on our wheelie skills and that one sparkly attribute aside, the CRD100, like the Freedom, was an extremely likeable, thrash-happy little entry-bike. Also known as the Gladiator and in another sticker form, the RS125, the Gladiator was among the best 125s on the market until the Shine arrived and stamped its authority. Every time we rode one, we came away impressed with the refined, almost gentle feeling Yamaha that packed in performance as well as great handling. The Gladiator suffered from a massive perception issue because from the start its 125cc engine was labelled as based on the Yamaha YBX, which was considered a 'fail' engine. As a result despite all the magazines appreciating the motorcycle and owners being super happy, new owners were hard to find for Yamaha. Isn't it obvious? The SS125 is a tremendously sporty motorcycle when you are in the mood but otherwise is a gentle creature. The engine is ultra-refined, ride quality is great and in pure no-performance-only-commuting mode, a more peaceful motorcycle will be hard to find. 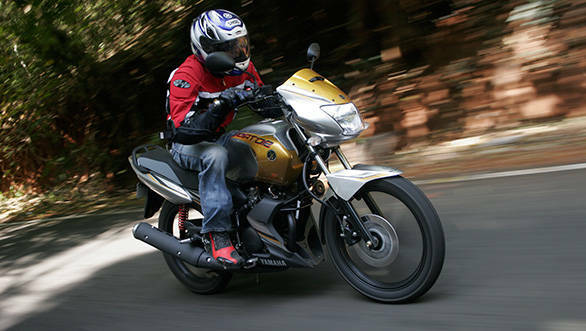 The Bajaj Pulsar isn't the lightest motorcycle in the business. But with the LS135, Bajaj made a light motorcycle, gave it a four-valve head and from its 135cc, it made an astonishing 13.5PS too. LS? Light sports! The LS was part of a slew of smaller motorcycles for Bajaj that didn't really click. Perhaps it was because it straddled displacement categories or perhaps it was because the Pulsar brand name simply cannot carry a smaller displacement motorcycle. It is a great little thing to ride. I rode one at the racetrack and discovered that it was a quick little motorcycle that felt rigid and planted and the engine wanted nothing more than more revs, more thrashing end over end. The Shaolin followed the epic Shogun into the market. It featured more or less the same engine but with a 5-speed gearbox. 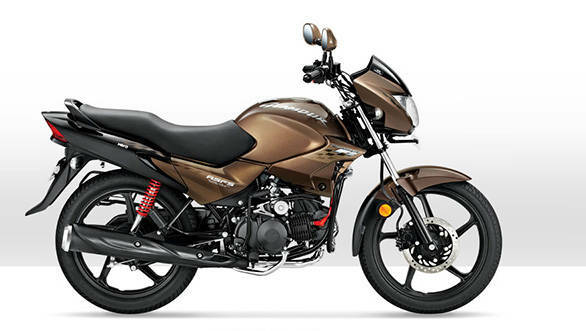 But it made from its 138cc, about 12PS instead of 14 like the Shogun. It was relatively more civil, featured the same fluorescent on black styling and it was cheaper than the Shogun as well. The Shaolin came out near the end of our two-stroke era and was to compete with the Yamaha RX135 and the KB125 both of which are on this list. The shadow of both the Shogun and the end of the two-stroke era loomed over it. Because you can tune Shaolins to make as much as 16PS if you know what you're doing and 16PS on a 100Kg two-stroke is not be scoffed at. All you four-strokers, wait till you see what a cracking two-stroke feels like. Rossi, if you remember, called the first four-stroke MotoGP bikes, "Diesels." I had one, it was my first ever motorcycle! It was the cheapest of the two-stroke 125s (which is why I had one). The handling was great and it was really quick too. Shame about the OEM knobbly tyres though, which were called AX100 I think, but were actually just crap. Again at the end of the two-stroke era, the KB125 also gained a reputation for not being too reliable. And to be honest, at that point, not many of the Bajajs were. Well, if I could find DL3SN1372 today, I'd buy it up in a heartbeat. And then get around fixing that damn fourth gear which jumped into third as soon as you crossed 6,000rpm. If the RX100 was great, adding another 35cc should have been brilliant, right? It didn't work out quite like that. Yamaha never tasted the success it had with the RX100 and even the great looking RXZ could not escape this. This is another nice two-stroke that happened to come out towards the end. The four-strokes were catching on, fuel prices were making Hero Hondas more valuable and the two-strokes just weren't going to cut it. In the final form, the RX135 with its 5-speed gearbox and the comically long black exhaust was a cracking motorcycle to ride. It remains the bike on which I've pulled the tallest, scariest wheelie so far. And there are smashingly good two-stroke tuners in India who will take the RX135 as stock and turn in to a proper fire-breather. The Bandit is a legend. It is perhaps the most ultimate do-it-all motorcycle money can buy in the big bikes and not just in India. It was comfortable, fast, able to handle long distances, pillions and luggage without being unwieldy in town or boring overall. It looks too anonymous and the power arrives with a calmness that fail to raise blood pressures for the Indian customers who were paying a fair amount of money for the bike. We loved it but we understand why most Indians didn't. Because as I said before, outside of motocross or floating in the sea, the Bandit can almost literally do anything. And if you have the money, you can modify a Bandit into a reliable anything. Sporty naked, epic tourer, you name it. The BMW F650 Funduro was India's first genuinely big motorcycle and not just in size. The Rotax-build engine was gutsy performer, it was made well and it came with none of the quirks that 'afflicted' the BMWs of the time. No funky suspension, weird final drive et al. Just a sweet, fast, off-road styled machine it was. Someone was out drinking the night before the pricing was decided and the Rs 5 lakh initial price tag became the bike's death sentence. It was a great bike at a price that there was absolutely no way to justify. To yourself or to your family. They aren't that expensive any more on the used market, parts can be sourced from abroad relatively easily and despite the age, well-kept F650s are both reliable and thrilling to ride.